We have gained expertise in offering quality LC Ferro Chrome in the market. Low Carbon Ferro Chrome is manufactured by reducing chrome. 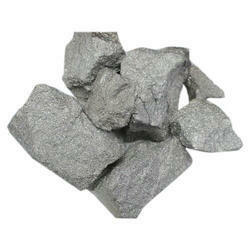 The Ferro Chromium LC is used in manufacturing of stainless steel. Ferro Chrome LC is available in Four different grades. Sourced from established vendors of the industry, our Ferro Chrome alloy is acclaimed for its purity, accurate composition and other features. Stringently checked and tested, this alloy of Iron and Chromium contains between 50% to 70% chrome. Available in different grades as per the requirements of the clients, the range is offered at economical prices. Due to our expertise, we are offering a faultless variety of Ferro Chrome to our valued clientele. These products are manufactured at our manufacturing entity using superior-grade components that is procured from trustworthy vendors of the industry. Furthermore, these products are available in diverse shapes and sizes. 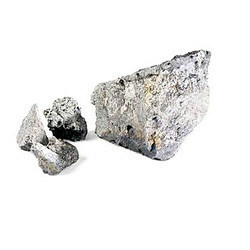 We produce high carbon ferro chrome that is an alloy of ferrous & chromium which are used in making stainless steel.Specifications : :: Cr-60-70%, P-0.03% max, Si-2% as well as 4%max., S-0.05% max. Carbon- For high carbon upto 8% max, For low carbon upto 0.03% max. - Cr-60-70%, P-0.03% max, Si-2% as well as 4%max., S-0.05% max. - Carbon- For high carbon upto 8% max. - For low carbon upto 0.03% max. We produce high carbon ferro chrome that is an alloy of ferrous & chromium which are used in making stainless steel. L/C Ferro Chrome 0.1 % C, L/C Ferro Chrome 0.05 % C, L/C Ferro Chrome 0.03 % C, L/C Ferro Chrome Others.